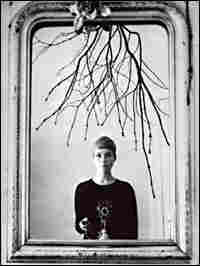 Photographer Astrid Kirchherr Hamburg-born Astrid Kirchherr met the Beatles in 1960, before they were famous. She took some of the earliest photographs of the group and was engaged to Stuart Sutcliffe, the Beatles' original bassist, before he died of a brain hemorrhage in 1962. The photos Kirchherr and Scheler took on that trip are collected in the new book Yesterday: The Beatles Once Upon a Time.